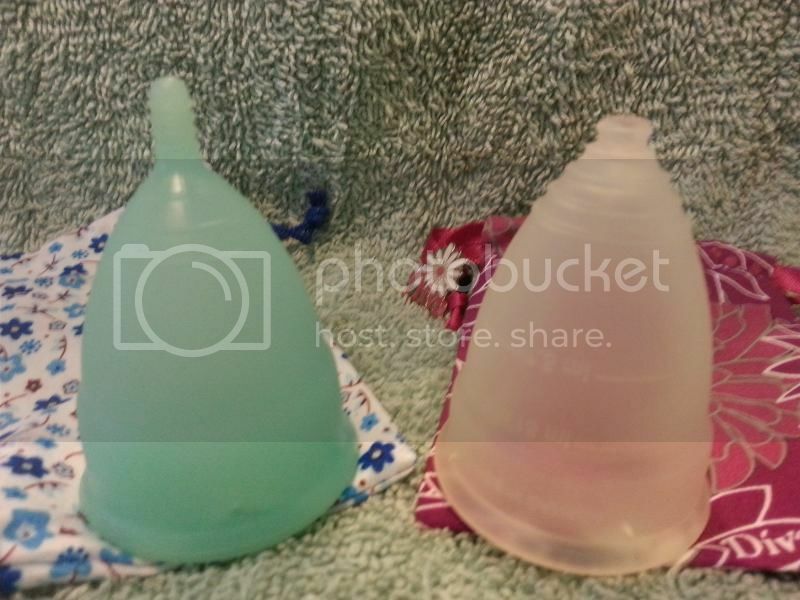 I've been using the Diva Cup 2 for some time now with no problems. However, I did want a back up cup or maybe something smaller for my spotting days. After reading here and there on Google, watching Youtube vids, and weeding through what I can purchase in the US, I settled on Meluna. I went through their size calculator (size medium) and placed my order. I was sad that the USA store doesn't offer colors, but still happy with the ball stem option as I had cut the stem off my Diva. I was so excited to receive it. I was at the end of my cycle when it arrived and figured I'd give it a try. For the life of me, I could not get it to open. I tried a few different folds but still had no success. I was getting sore, so I put it away for the time. A few days ago I knew my period was coming so I took it out again and tried it on a dry run since there would be no mess to clean while I was trying to figure it out. No luck. I came online and read about making sure the holes were positioned in the "punch" of the punch down fold and tried hoping it would work, but again no luck. When I managed to dig the rim out for it to open, the rim stayed squashed together like closed lips. Are there any other suggestions before I give up completely and sell it? I'm 39, had two c-sections, high cervix, not very active, only started doing kegals recently, and still want to be excited about Meluna. MeLuna's only have 2 anti-suction holes around the rim. Enlarge them and/or add a couple more and I think you'll find it will pop open more easily. Also, being significantly shorter than your Diva, you'll probably have to change your insertion technique a little. How? Unfortunately, that's something you'll have to figure out for yourself. It's different for everyone. Thank you. I did think about enlarging the holes or adding a couple extra (since my Diva and Eva has four) but I was worried that it still might not work and I didn't want to alter it if I was going to resell. I'm kinda of torn about it. I really want it to work. As for how short it is, I was very surprised that THAT was the size that was calculated for me. It sits inside both the Diva and Eva. If I do decide to enlarge/add holes, I'll re-post if it works out. Thanks again. Yeah, at 48 vs 57mm in length, the medium MeLuna is significantly shorter than your Diva. Looking it up, the Eva seems to be one of the generic cups sold under many different names. They are usually short-to-medium length cups but this design looks a little longer. Is it? If you haven't already, check out the size charts at the Community FAQ or at http://sizecharts.livejournal.com/ and figure out what dimensions you think you'd like your next cup to be, then use shape to narrow down your final contenders. mc_sales is a good place to buy, sell or trade "gently used" cups that didn't work out. I have this problem with my melunas and I find the thing that really helps is running it under a cold tap before insertion which stiffens it somewhat and helps it pop open. I also tend to make my fold (punch down) rather looser than I do with my MCUK. Thank you for the sizing chart link. What a great tool to have on hand. The EvaCup 2 is exactly the same size as the Diva 2. 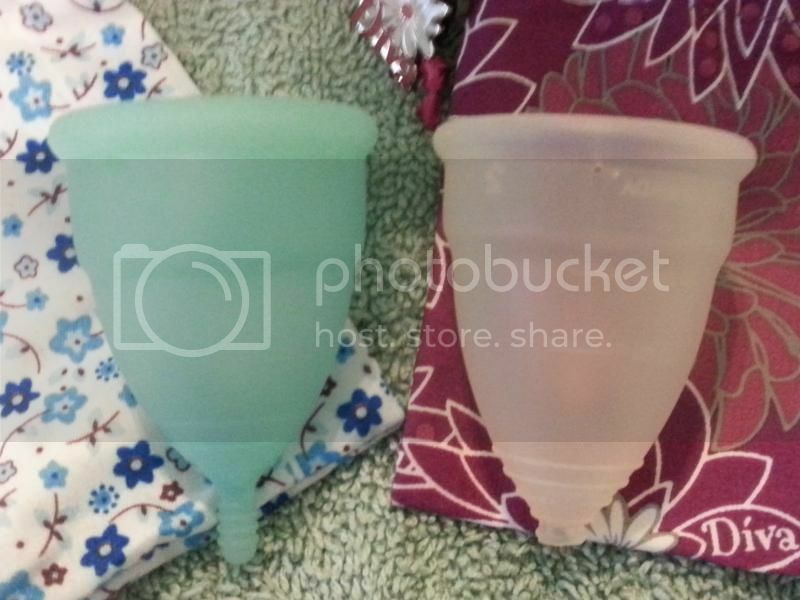 The differences between the two that I noticed was that even though they are supposedly made of the same medical grade silicone, the EvaCup seems much smoother. I read somewhere that someone said theirs had seams on the sides, but I don't see or feel any on mine. It seems to insert easier, but might be harder to remove for others. I haven't had a problem with it. The grip rings aren't as prominent, which might also cause others to have a harder removal. The stem however has good grip rings on it and I didn't have to cut it at all. I did have to cut the stem completely off with the Diva Cup though. It was uncomfortable. So far, I've noticed that I've had less cramping and pressure with the EvaCup. If it wasn't in use, I'd take pictures and post..so sorry. All in all, I favor the EvaCup between the two. I think you might be the first one I know on the comm to purchase the EvaCup (seems like a lot of brands are selling basically the same style of cup and Eva is one of them)...I thought their cyan color looked really pretty but those cups would be too short for me, since my cervix is super high, looks like yours might be more medium? Anyway, when you get the chance could you take some pics of the Eva for us? :) Maybe comparison pics? I did find a seam on EvaCup when I looked at it better. It's on the rim. I didn't notice before. I purchased my Diva Cup for $34 (I think...around in that price though), and EvaCup for $18.99. The Diva Cup took a week and a half to arrive and the EvaCup arrived in about two days. As you can see, I loved the cyan color too :D and actually waited for them to come back in stock. Cool, thanks! The color looks identical to my Rainbow (wonder if they are being manufactured by the same people--in which case, I wish they made the stems as long as they are on the Rainbows!) - not as pretty as the Sckoon Harmony like I was hoping (and how it appeared in the pics) but great functionality, nice solid but still very soft stem, and a great deal. I only have meluna's (a few different sizes) so I can't really compare to other brands, but when I got my first ones I had a hard time getting them to open too. I found the labia fold had the best success rate for me. Sometimes it helps to let go of the fold before the cup is fully in because it's a bit easier for air to get in and open, then I can squeeze the bottom to "suction" it farther in.